Moodle auto-submits draft files that are in Moodle at the originally set deadlines. Files that are auto-submitted will not be reverted to draft status except in extenuating circumstances (evidence required). 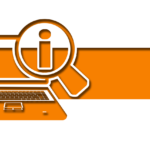 It is your responsibility not to leave draft assessments in Moodle at the due date and time if the files are not ready to be submitted for marking. However, late submissions may attract penalties. Definition/s of information and network security and the most up to date developments in the field. This investigation must consider different types of applications used in various industries and in different parts of the world. As a minimum, assess three information/network security applications currently in the market and their uses. Your report should not just focus on generic technology descriptions only but must identify actual examples of both information and/or network security solutions. Consider any success/failure factors. Research must focus on both Australian and global aspects in different industries. Based on the findings from the previous section, propose how you can use these applications to expand your organisation in the next five years. Discuss whether the organisation should focus on customising off-the-shelf applications as you have found, or develop products in-house to provide the ongoing security maintenance services to client organisations. As a part of this analysis, consider the potential advantages and disadvantages of your solutions and the various risks with respect to the solution/s you propose. The Report must focus on security and technology aspects as a priority, and propose potential solutions to overcome any disadvantages/risks identified in your analysis. Additionally, explore the ethical, social and legal considerations that your organisation should consider as a part of the proposed strategy where some of the clients may not engaged in strictly ethical businesses. Discuss some proposals to address these concerns and make relevant recommendations. 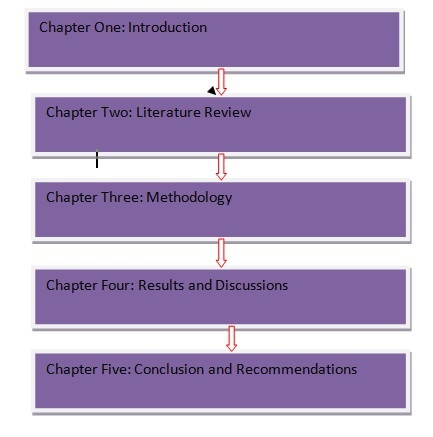 Your analysis and proposed solutions in task 2 should provide three to five recommendations at the end of your report. Make sure that the specific recommendations at the end of your report have been evaluated as a part of your report discussion. Please note that you will need to make some assumptions about the organisation in order to write this report. These assumptions should match the information in the case study and not contradict with the objectives of the report. They should be incorporated in the introduction of your report when you describe the organisation and outline the problem to be solved. Relevant assumptions should be incorporated when addressing task 2 above. To avoid loss of marks, do not make assumptions that are not relevant or will not be used in your report discussion. Executive summary: should include the purpose of the report, the problem including key issues considered and how they were investigated, your findings, and overview of your recommendations. This part must not be longer than one (1) A4 page. Not included in the word count. Table of Contents (ToC): should list the report topics using decimal notation. Needs to include the main headings and subheadings with corresponding page numbers, using a format that makes the hierarchy of topics clear. Because you are including a ToC the report pages should be numbered in the footer as follows: title page has no page number; and main text to have Arabic numerals commencing at 1. Create the ToC using MS Word’s ToC auto-generator rather than manually typing out the ToC. Instructions can be found here https://support.office.com/en-gb/article/Create-a-table-of-contents-or-update-a-table-of-contents-eb275189-b93e-4559-8dd9-c279457bfd72#__create_a_table. Not included in the word count. Body of the report (use appropriate headings in the body of the report. ): Define key terms you will use in your report, such as what is meant by ‘information/network security’. Present your ideas on the topic and discuss the information you found in your research that was relevant to the report’s objectives. Provide an analysis of the information that you gathered. Ensure that you explore the tasks listed in the case study scenario. In your discussion, examine the issues from a global perspective as well as from the local perspective (of the fictional organisation that is the centre of this report). Do NOT use generic words such as ‘Body, Body of the Report, Tasks’ as section headings. Create meaningful headings and subheadings that reflect the topic and content of your report. Should be approximately 1700 words. Recommendations: 3 to 5 recommendations required (must be based on your findings and proposed solutions discussed in the body of the report) what would your recommendations be to your CEO and the executive management team in this situation? Provide some guidelines for the organisation with respect to the use of robotics as a future technology in your organisation. Format according to the Report Writing Guidelines discussed in the Unit. Should be approximately 200 words. 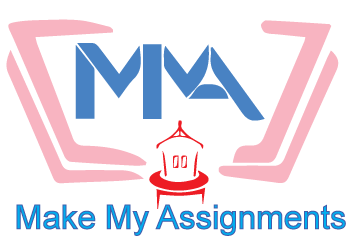 MakeMyAssignments.com provides expert and efficient online assignment help and delivers all assignments with esteem dedication. For expert online assignment help such as Business Management Assignment Help, visit www.makemyassignments.com.